Have you ever wondered what gives hotel beds the edge on luxury and comfort? Well, now you can find out. On Saturday, Feb. 25, Frisco-based IBB Design Fine Furnishings is hosting a Day of Design open to the public. From 10 a.m. to 6 p.m., enjoy sips and bites, and learn about a variety of design topics from IBB’s talented team of designers. The schedule includes presentations on how to decorate a bookshelf, add depth to your interiors, and more! Guests will even get to take home one of IBB’s signature giveaway bags. As a sneak peek into the event, IBB Designer Michael Reese gave us tips on how to dress the perfect bed! Read below to learn a few of his tricks, and mark your calendar for Feb. 25 to learn more. It’s important to dress your bed with a good foundation — bedsheets. If you’re unsure about what sheets are right for you, read here! What you fill your pillows and duvet covert with can make a world of a difference. Down fills give you the best look, but if you’re allergic, a soft alternative will suffice. With decorative pillows, start small in the front and work backward with a variety of sizes. Layering will give you the overall luxurious look and feel. 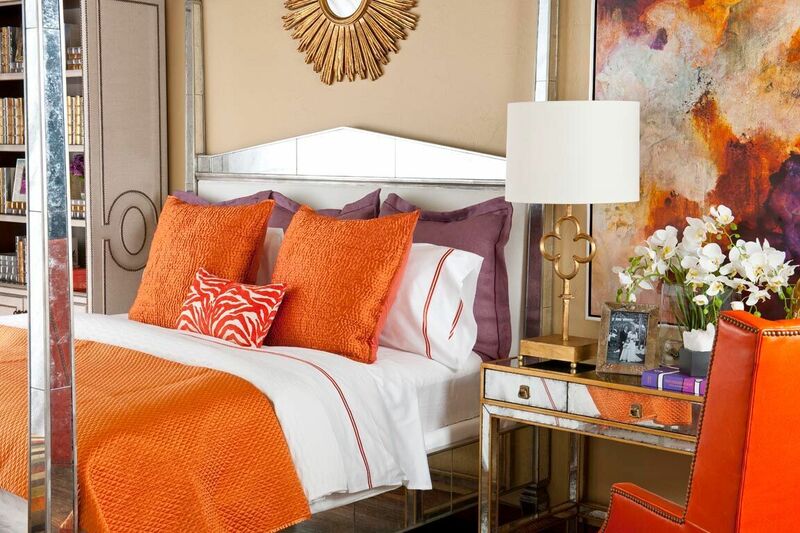 Try to layer with sheets, a coverlet, a duvet, and a variety of pillows. You can even add a foot quilt or throw for a final touch. Want to learn more about creating a sophisticated and inviting bed? Reese will present at 11 a.m. during the event. For a complete schedule of design seminars, click here.